When it comes to the depiction of war in media (and with games specifically), World War II in particular is a period in history that has been pretty well-trodden in a variety of different genres. From several Call of Duty titles and even to last year’s Battlefield V, the events and conflicts that have shaped World War II are likely pretty familiar to most that play games from how often the time period has been used as a setting. However, Warsaw from developer Pixelated Milk is not only attempting to tell a WWII story that isn’t often covered in games, but grounding it with challenging gameplay and themes that speak to the atrocities that took place in one specific conflict in Poland. During PAX East 2019, I played a demo of the upcoming Warsaw on PC, getting about 30 minutes of time with the game. In the demo, I was able to get a glance at what the core experience of Warsaw will be like from the beginning of the campaign, while I also saw several standalone battles featuring characters and enemies that players would experience later on in the game. 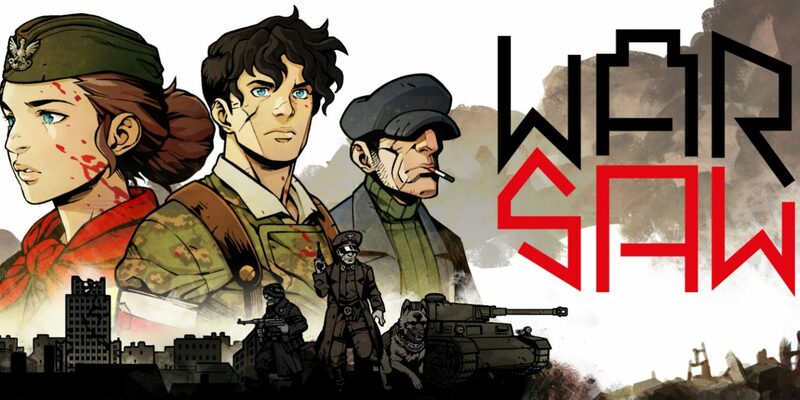 The story and themes of the game itself draws from the Warsaw Uprising that took place in summer 1944, in which a Polish underground resistance fought for over 60 days to push back against German occupation in the country’s capital. Much like that conflict, which resulted in a high number of casualties and defeat for the Polish troops, Warsaw doesn’t hold back when it comes to the brutality and hardships of war, but does manage to effectively create a war story that feels fresh and distinct compared to so many other WWII-set games that have come before it. From a gameplay perspective, the most obvious comparison that Warsaw has been drawing since its announcement is Darkest Dungeon, both in terms of its style and in its actual strategy mechanics. By and large, there is some sense of familiarity if you happened to play Darkest Dungeon to any extent, but while the surface-level similarities are there in the combat, in execution Warsaw manages to deliver its own experience entirely. In what I played of the demo for Warsaw, I started out by seeing a top-down map of the city of Warsaw with a marker pointing to the current location of my party. From there, I was able to guide my party through the city streets, with the movement of the party being limited by a set amount of points that I could use to explore. As the group traversed the city, various encounters and random events would pop up on the screen, giving me the sense that there is a good amount of risk/reward at play in Warsaw as you not only take on enemies, but also face the hardships of survival in wartime. For the random events, these largely came down to text adventure-style instances where a certain event–such as crawling into an unknown sewer or encountering a bystander–presents the player with different decisions of what to do next. 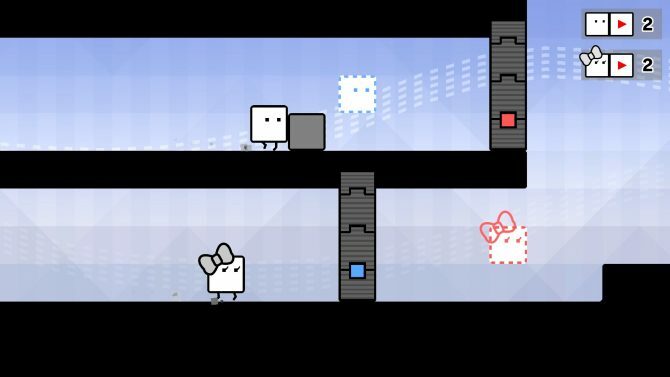 Pixelated Milk seems to have carefully crafted these instances to force the player to have to make difficult decisions, whether that’s putting the group into situations that might be dangerous but come with potential rewards that could benefit the party (such as ammo and medical supplies). 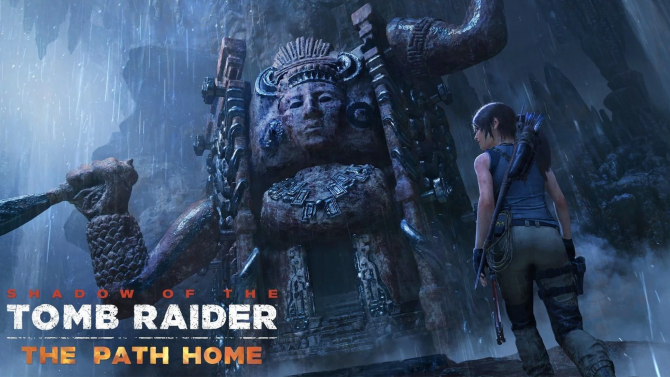 However, there is just as good a likelihood that you might accidentally injure one of your party members, and as there is permadeath in the game, the consequences of a false move can be grave. 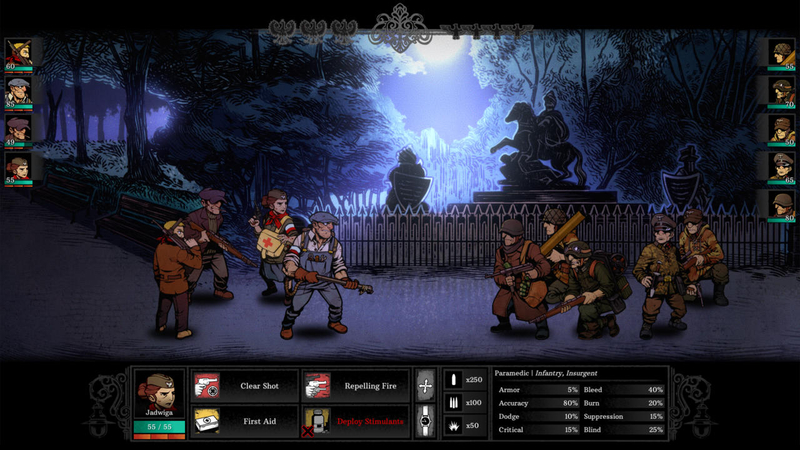 Outside of these encounters, the majority of the demo for Warsaw highlighted the game’s combat, and while much of it plays out in a similar way to Darkest Dungeon, the intensity and challenge that its gameplay brings really adds to the tension of its wartime setting. 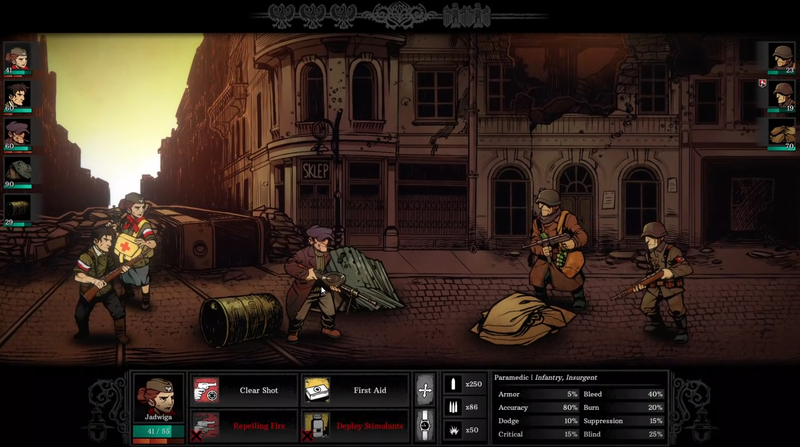 The combat of Warsaw plays out in a turn-based fashion, and your characters are organized into different lanes, with each of their abilities having a certain range and specifications for where and how they can hit an enemy or help a teammate. This, in turn, forces players to not just consider what attack or ability that they might want to use next, but also strategizing where to place their characters to either avoid the line of fire or support another party member that might be in need. 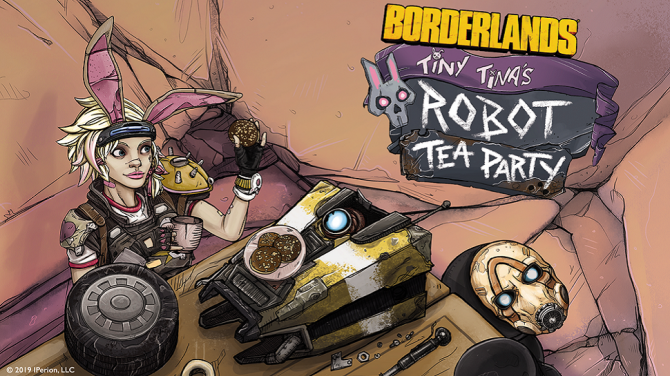 Each character in your party fills some form of character class or role, giving players the chance to build out a party that fits to their particular strengths and style of play. Riflemen serve as concentrated fire that can hit enemies from a longer range with high accuracy, while grenadiers and explosive-wielding characters are adept at dealing damage to a group of enemies or obstacles that might stand in your way. Likewise, medics are a vital part of the team that can help heal your other characters, and captain-like characters that I also played with gave me the chance to give my other party members valuable buffs and commands. While the systems that inspire Warsaw are drawn from RPG mechanics that (usually) are inspired by fantastical and medieval settings, the way that the game translates RPG-like ideas such as attacks, buffs, and character classes into a more realistic setting feels very natural. 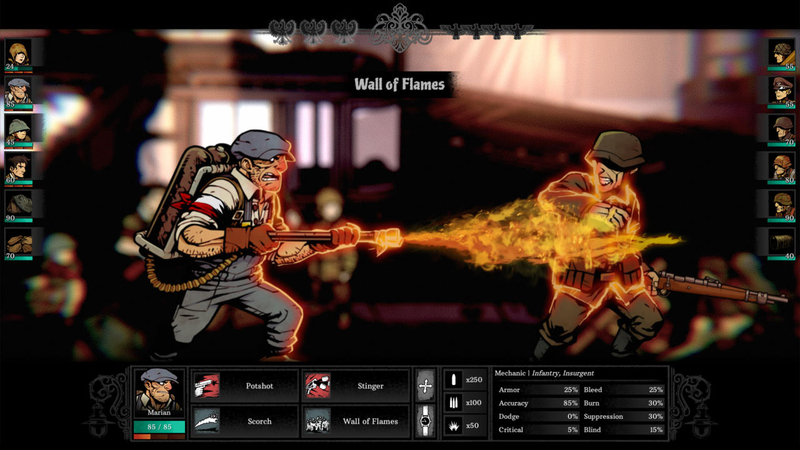 The combat and gameplay systems in Warsaw might take a bit of getting used to, especially if you’re relatively new to turn-based RPGs in the Darkest Dungeon-style, but what I played gave me the sense that there will be a lot to dig into when the full game releases. Despite the fact that I was able to win all of the battles that I fought during the demo, the developers from Pixelated Milk on-hand assured me that the game will offer far more challenging combat for players to sink their teeth into at its release, ensuring that the final game will be far more difficult. Though I hadn’t known much about it prior to PAX East, Warsaw quickly caught my eye and might have become one of the indie games that I’m most looking forward to later this year. With its challenging gameplay, strikingly beautiful hand-drawn artwork, and a setting that tells a story in World War II that hasn’t been explored as deeply in other games, Warsaw seems like it will give turn-based RPG fans a compelling experience driven by a deeply personal and tragic war story. Warsaw might look familiar at first, but it already shows great promise as a new war-time experience that will be hard to forget. Warsaw is currently in development for PS4, Nintendo Switch, and PC, and is expected to arrive later this year.